Jill Andrews is nursing her newborn daughter on the couch in her dear friend and collaborator, Peter Groenwald’s, studio. It is September and still too hot outside. Peter is mixing a song they wrote, one of dozens that came together curiously, almost on its own when they sat down to write it. Peter looks at Jill, six week-old baby on one side of her body and guitar slung and still singing a bit on the other. For Peter, a father himself, the timing is unexpected, but nearly everything about their partnership has been. He plays the song back and listens for a minute. With a treasury of thoughtful, tenderly written songs at their disposal, they already had. 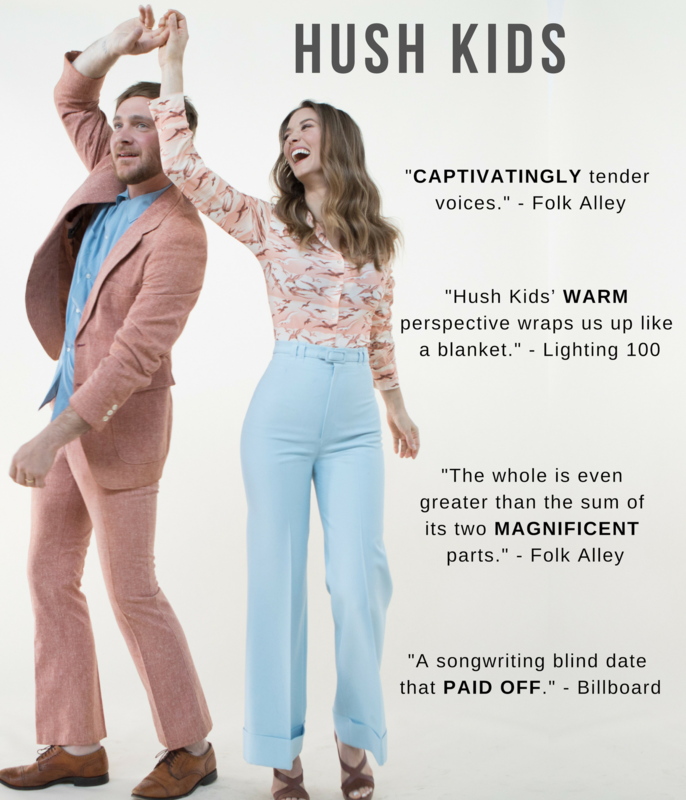 Hush Kids is a friendship with music. 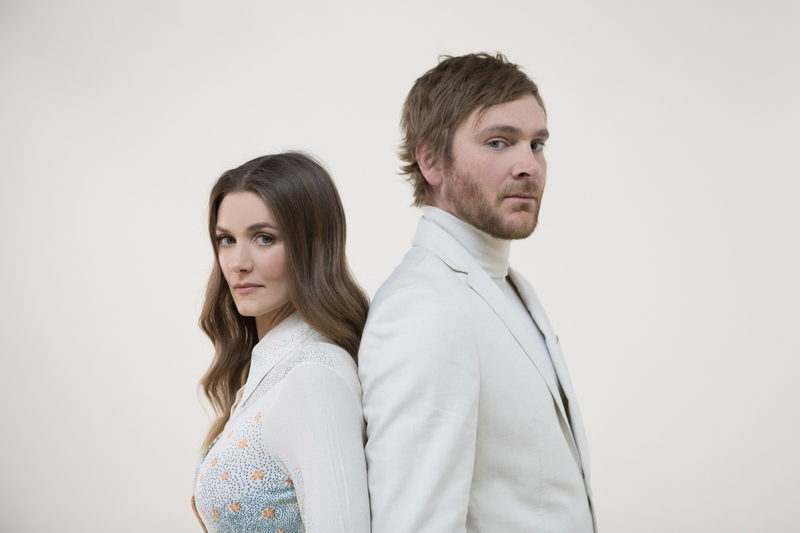 It began long before it had a name, when two beloved Nashville artists with impressive solo careers were put together by their publishers to write songs for other people; in time, they discovered they had been writing for themselves all along. Their earliest sessions revealed more than chemistry, they revealed kindredness, an innate understanding that allowed two very different people to write some of the most deeply personal music of their careers. Incredible, instinctive vocal symmetry, captivating melodies, and intimate, intelligent lyrics speak to the years of tireless craftsmanship and well-earned successes by both artists respectively. 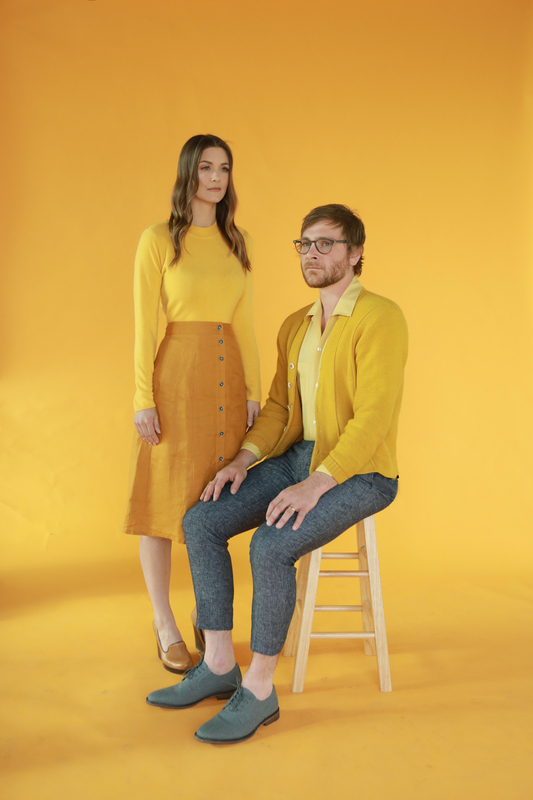 A gifted composer, producer, and musician Peter has toured extensively and shared the stage with artists such as The Civil Wars, Andrew Belle, and John Mayer. Jill, a founding member of the alt/country favorite The Everybodyfields, has performed alongside The Avett Brothers, Willie Nelson, and Drew Holcomb & the Neighbors and secured television placements that include Greys Anatomy, American Idol, and Nashville. Despite the name, Hush Kids is not about quiet, it’s about stepping away from the wrong kind of noise to embrace the music.